Provide us with a little more information and we'll send your request to multiple contractors in your neighborhood. Compare bids, save time & money. Thanks! We are sending your request to contractors in your neighborhood. Please wait a few minutes for submission. Does your home need an energy boost? Forget the caffeine! There are some good programs for Illinois residents who are serious about lowering their utility bills and making their homes more comfortable. Some Roof Replacement, Radon Mitigation, Mold Treatment, etc. In the Chicago area, some banks offer loans from $1,000-10,000 towards the above projects. 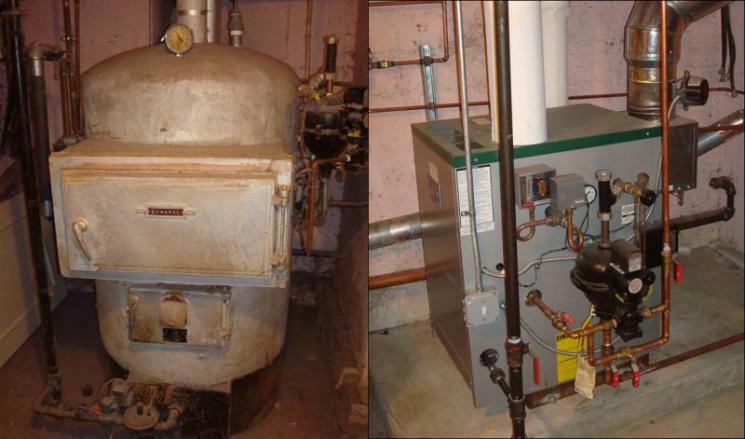 AFUE is the annual heat output of a boiler or a furnace compared with the fossil fuel energy used to fuel that furnace or boiler, according to the Department of Energy. An AFUE of 90% means that 90% of the energy used to fuel the heat source actually heats the house, rather than escaping up the chimney or being burned off elsewhere. The process starts with a home energy assessment-- a $400 service that's being offered for $99 by Energy Impact Illinois. In the Chicago area, some utilities are offering $1,750 in instant rebates on energy-efficiency improvements. The same utilities are giving away free compact fluorescent lightbulbs. For more information about these programs, contact Energy Impact Illinois, an alliance of governments, nonprofits and utility companies.